The eight Dakar Rally stage was a tricky one for Stephane Peterhansel, who started on the second place. This stage featured a so-called ‘super send-off’ which means, the top ten cars and motorcycles and top five trucks from the previous stage start the Special Stage together. While that definitely makes for some great footage, for the drivers it’s not that great as they can’t use tire marks to guide themselves through the dunes. Therefore, Peterhansel hit a bit of bad luck, getting stuck in the first set of dunes and then once again before the finish line. “The first 150 km were very fast and we overtook a trio of bikes. This made me the first vehicle into the dunes, so there were no tracks to use as orientation. We then got stuck after 20 km. The sand was very soft and difficult to read. And then, 50 km from the finish, we hit a big hole in the dunes and again got stuck,” said the Frenchman about the stage. 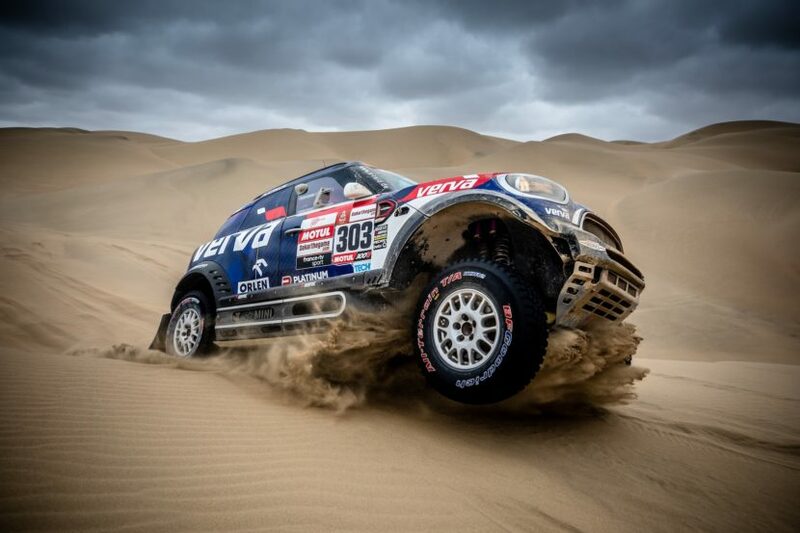 Therefore, the best placed MINI X-Raid driver in this stage was Jakub ‘Kuba’ Przygonski, who finished third behind the winner, Sebastian Loeb and the overall leader Nasser Al-Attiyah. Nani Roma came in fifth, enough for him to be placed second overall right now, while Peterhansel dropped to the fourth position, behind Loeb. There’s only 16 seconds between Roma and Loeb though, while Peterhansel has just 7 minutes to recuperate to get on par with the two. Things are definitely heating up. 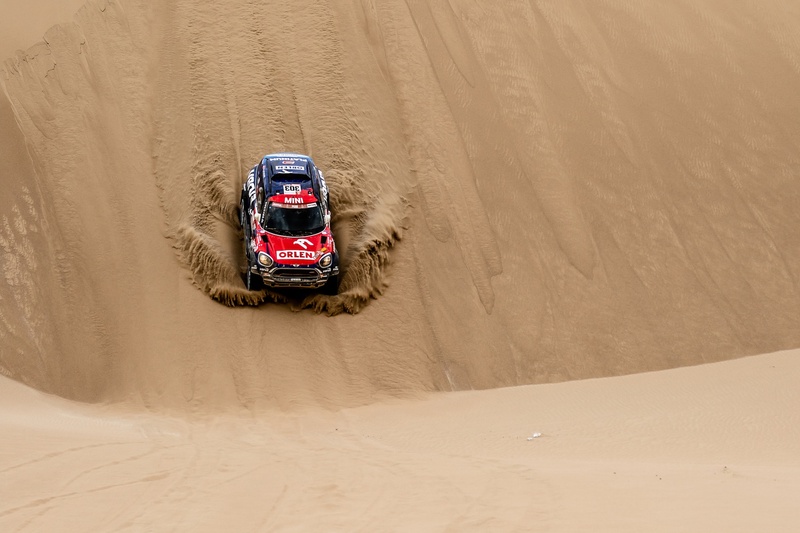 The next stage is also the penultimate of this year’s Dakar Rally and, most likely, nobody is going to be able to catch up to the leader, Nasser Al-Attiyah, who has 46 minutes to spare compared to the runner up. Nevertheless, that’s the magic of the Dakar Rally, as you never know when a driver might hit a rock or get stuck in the desert for some 40 minutes.